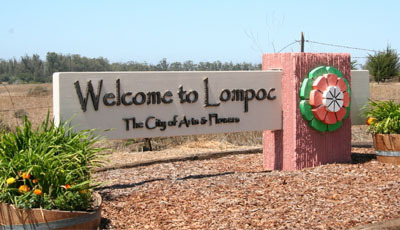 We offer the most competent automobile tinting service in Lompoc. Our 100% satisfied customers speak very highly about us. All this has been possible because we have maintained a certain discipline and professionalism when it comes to dealing with our customers. Service is our specialty when it comes to your car windows. For tinting, repair or replacement! Is your car making you hot? 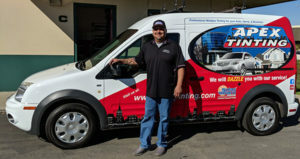 Our technicians specialize in quality window tinting. So, if the summer heat is making you vaporize inside the car, you can get your car windows tinted from us and start cooling off! Our window tints will greatly bring down the temperature inside your car, and our staff will make you happy with their professional service. Have you cracked your windshield and are not aware how to get it fixed? Not sure if you need to get it repaired or get it replaced? Give us a call, and our staff will attend to your queries in no time. Our qualified Technicians will conduct a detailed check up of the damage done and suggest the best possible options for you to choose from. We know that time is one of the most important and vital constraints faced while doing repair work. Our repair time averages fifteen minutes per chip. Many companies will offer to do your repair within a few hours and there is a possibility that they may not even turn up. However, you can rest assured Apex Auto Glass in Lompoc will show up and on time. We strictly maintain our deadlines and do not charge a single penny extra for unaccounted work. For us, the customer is king and your priorities are above anything else.